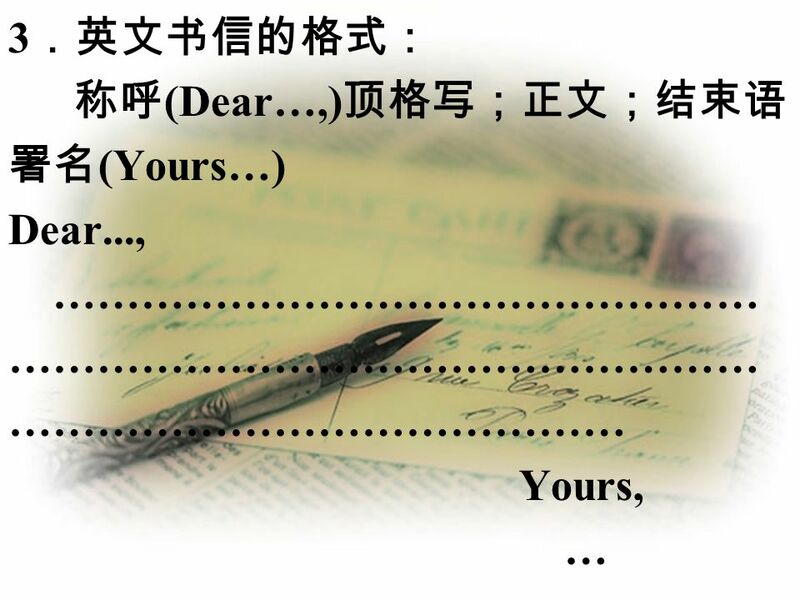 4 根据句意填入家族成员的名词。 Father’s mother is my ____________. 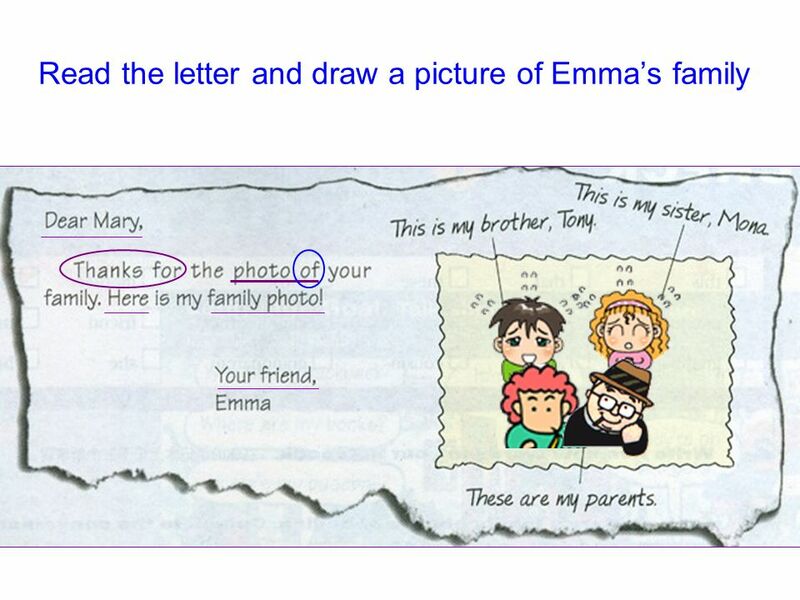 5 I am Tom. These are my parents. 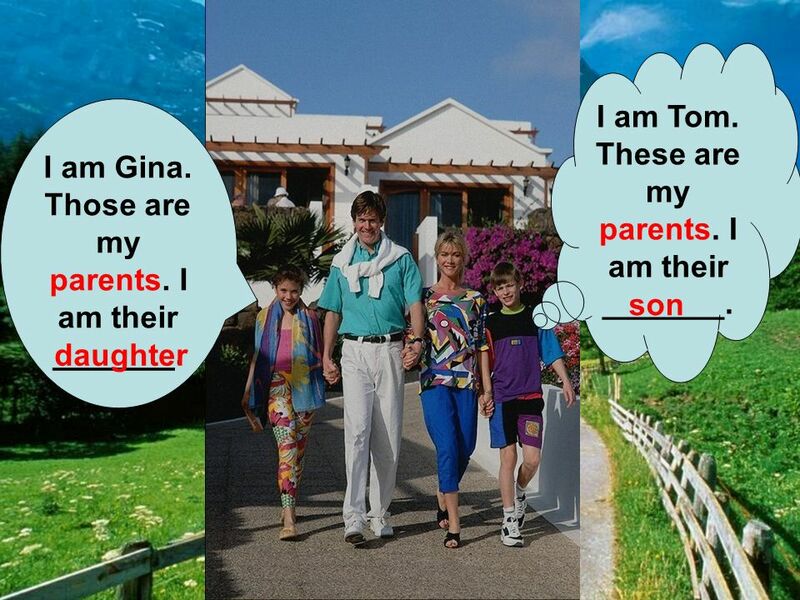 I am their _______. 6 Who is this? 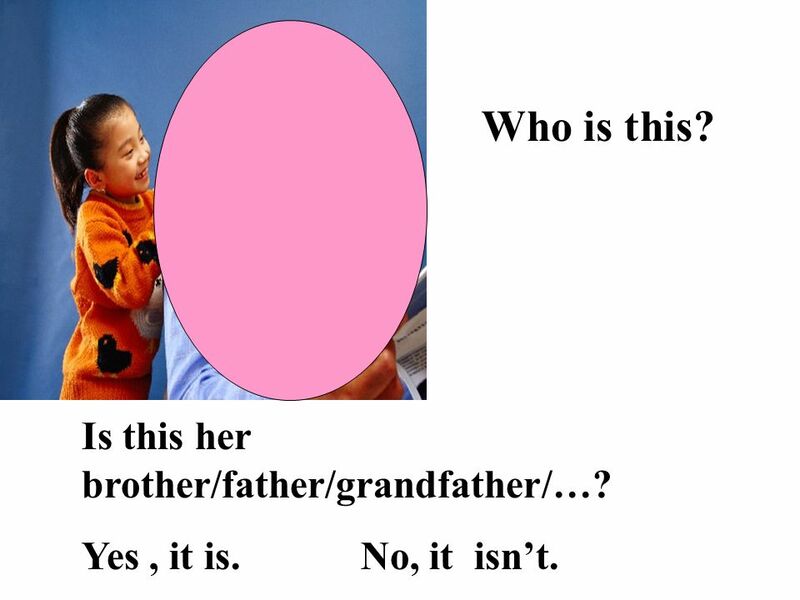 Is this her brother/father/grandfather/…? Yes , it is No, it isn’t. 7 Who is this? Is this her brother/father/grandfather? 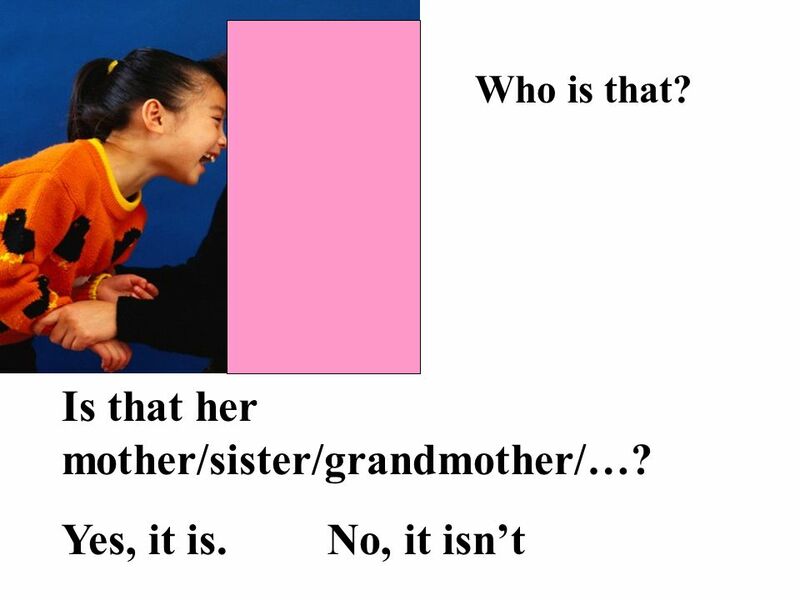 8 Is that her mother/sister/grandmother/…? Yes, it is. No, it isn’t. Who is that? 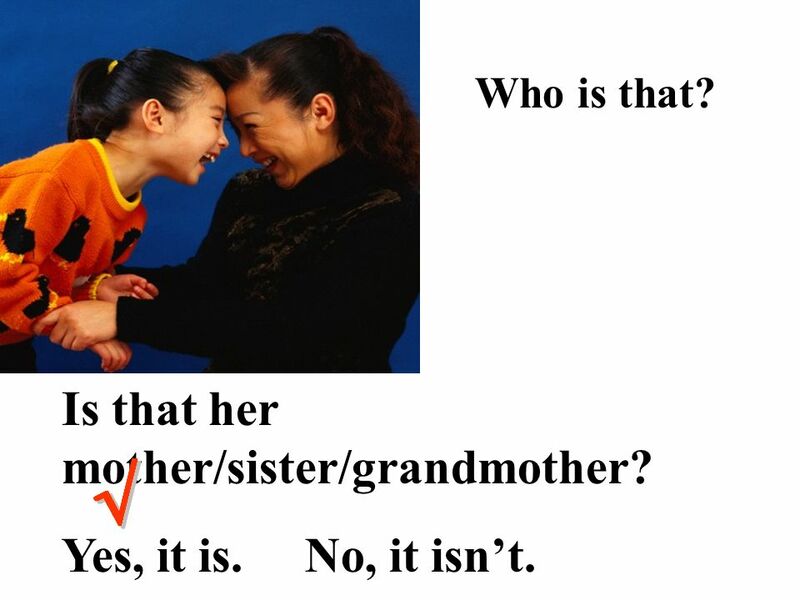 Is that her mother/sister/grandmother/…? Yes, it is No, it isn’t. 9 Is that her mother/sister/grandmother? Yes, it is. No, it isn’t. Who is that? Is that her mother/sister/grandmother? Yes, it is. No, it isn’t. 10 A:Hello, Jenny. _____ ______ your friend? 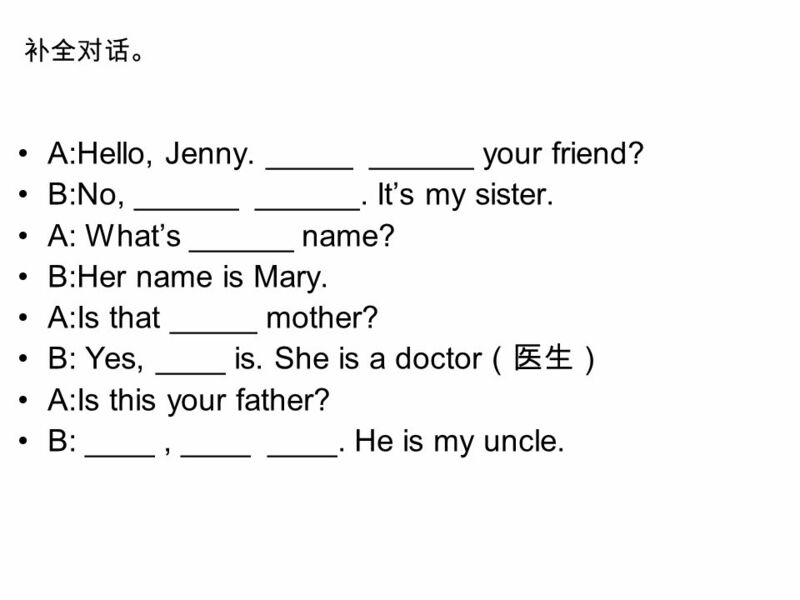 补全对话。 A:Hello, Jenny. _____ ______ your friend? B:No, ______ ______. It’s my sister. A: What’s ______ name? B:Her name is Mary. A:Is that _____ mother? B: Yes, ____ is. 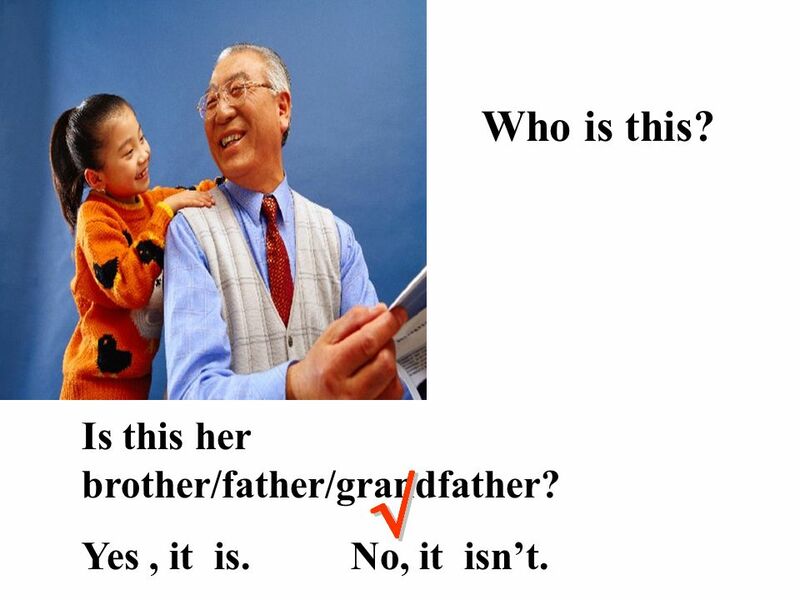 She is a doctor（医生） A:Is this your father? B: ____ , ____ ____. He is my uncle. 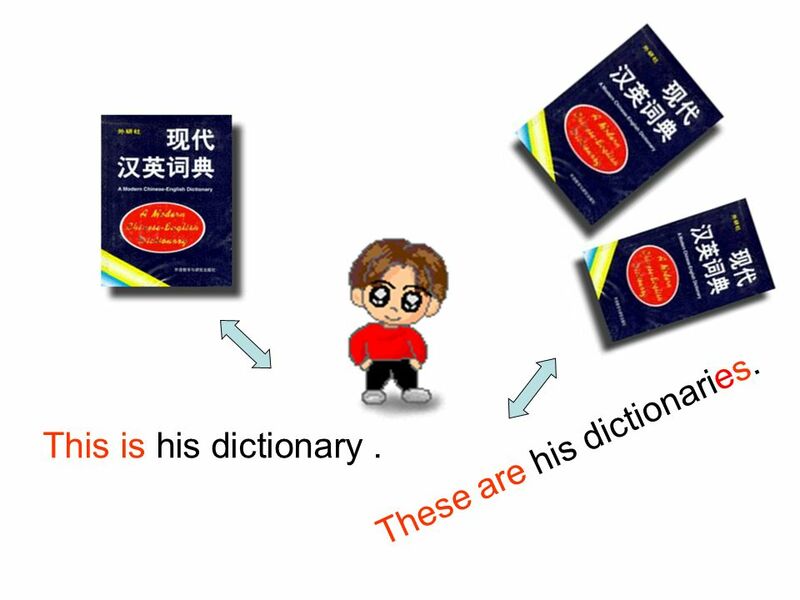 11 These are his dictionaries. This is his dictionary . 12 This is her orange. 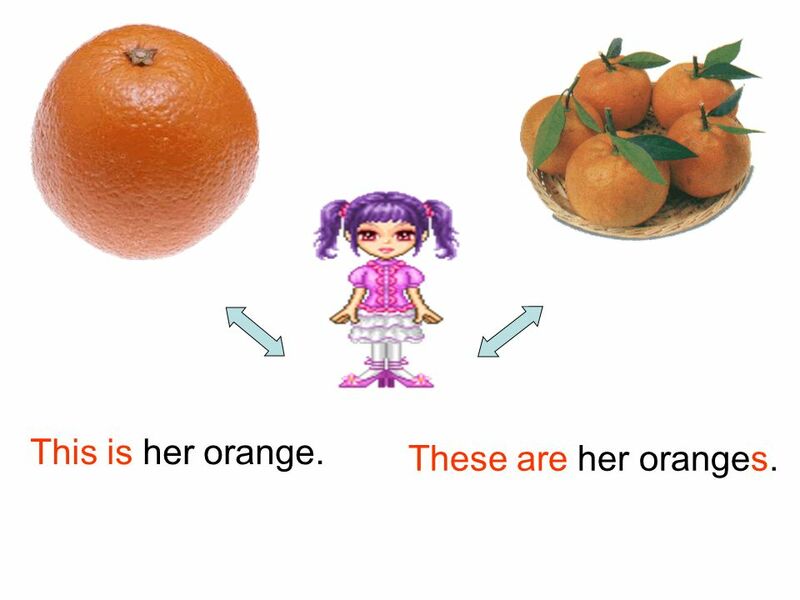 These are her oranges. 13 That is her watch. 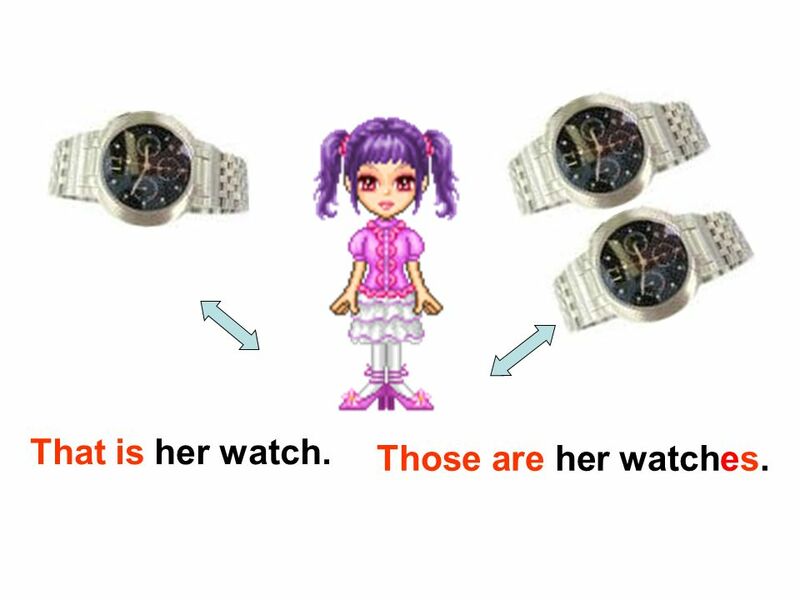 Those are her watches. 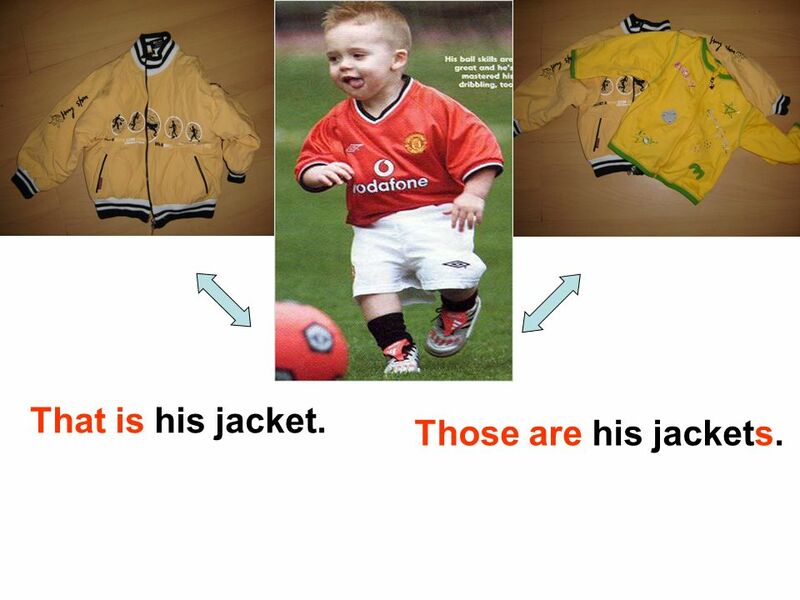 14 That is his jacket. Those are his jackets. 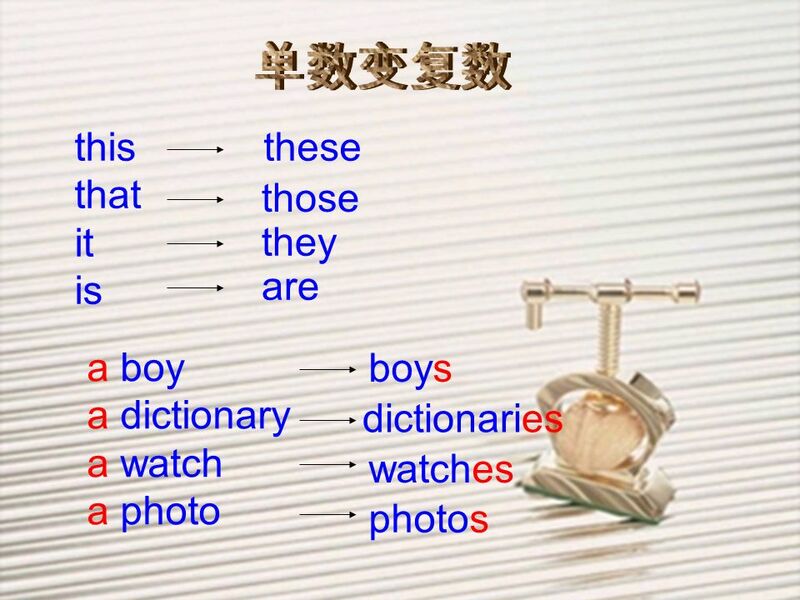 16 单数变复数 1.This is a watch. 2. Is that an English dictionary? 3.It is a photo. 4.That is a tomato. 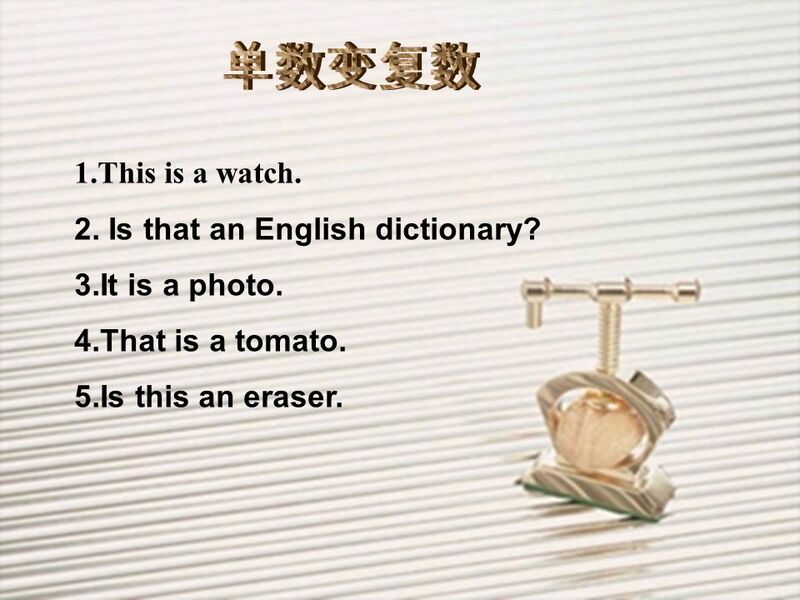 5.Is this an eraser. 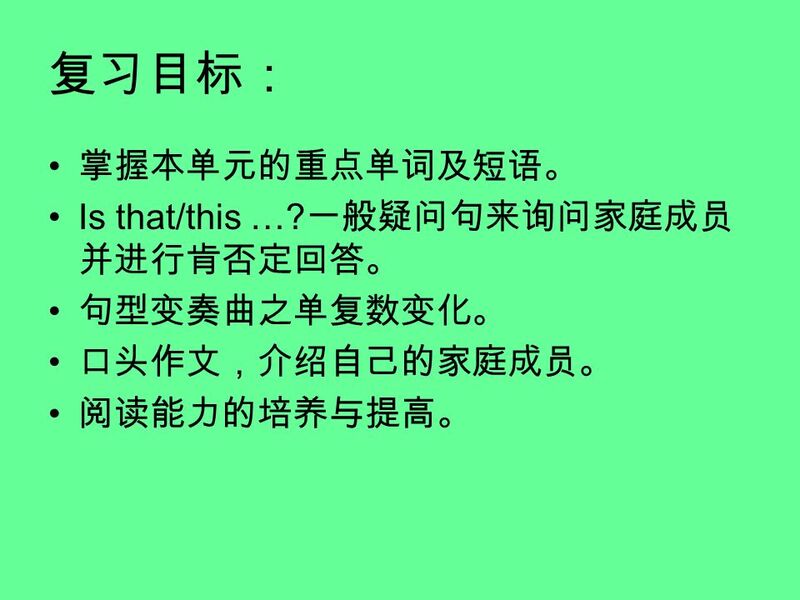 17 谈论自己的 These are my parents. 家庭成员 This is my mother. This is my father. Those are my brothers. This is my sister. I am Bob. 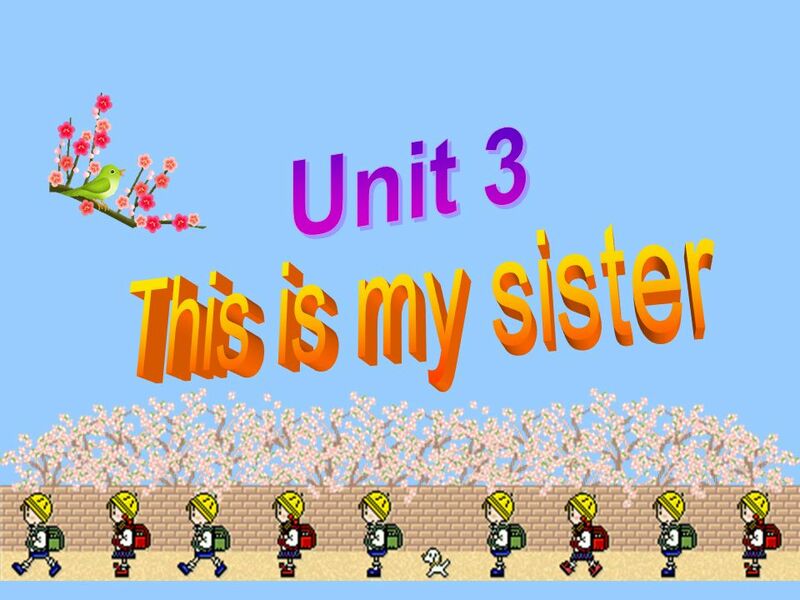 Download ppt "Unit 3 This is my sister." Unit 3. This is my sister Section B. This is my sister. Mary Unit 3-1 plane catcat peach desk home dogdog milk kite busbus music. Unit 3 This is my sister. Period 2 Family. Unit 3 This is my sister Go for it! Book One. Family tree Play. Unit 14 What do you do ? What does he do ? He is a taxi driver. My Family. This is a photo from My father was 25 years old. My mother was 26 years old. This is a photo from My father was 25 years old. My. 1.Who is he? He is my brother. (my brother) mother. father. sister. uncle. She is He is she? my Who is he? 1.Who is he? (my brother) He is my brother. 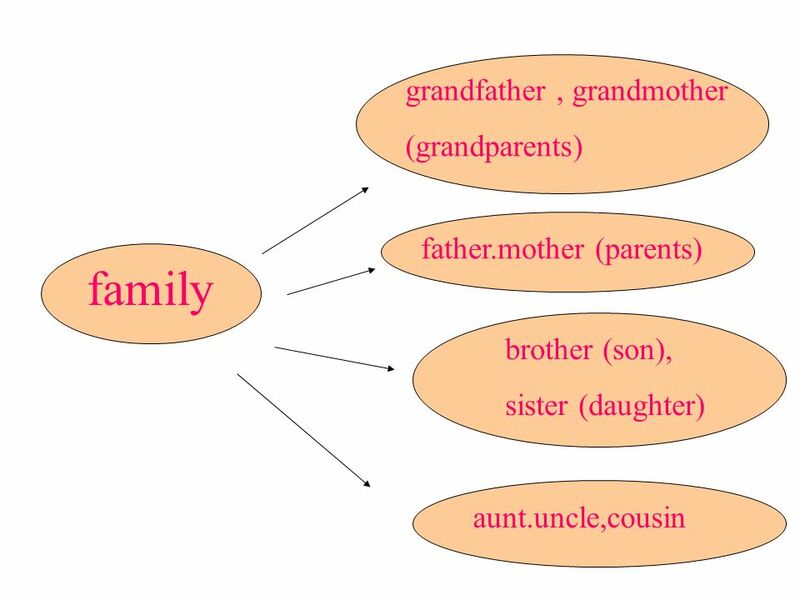 Introduction to family trees and a review of family vocabulary terms. 白塔寺中学 张永芳 1.Free talk 2.Family member daughter son uncle cousin A B. 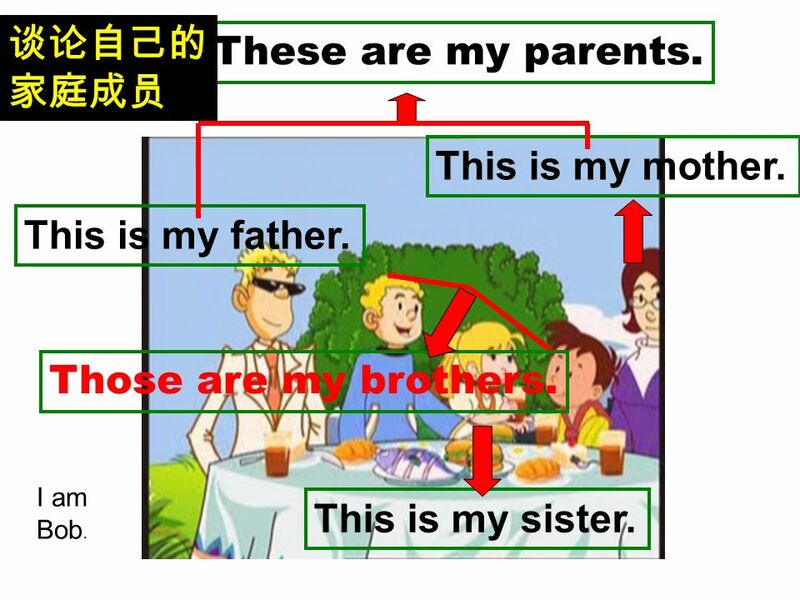 Section B 1—2c Section B 1—2c Unit 3 白塔寺中学 刘杨 Review Dave Introduce ( 介绍） Dave’s family. Unit 3 This is my sister Period Three. She is one of Mary’s family member. But she isn’t Mary’s mother. Who is she? aunt. 1. 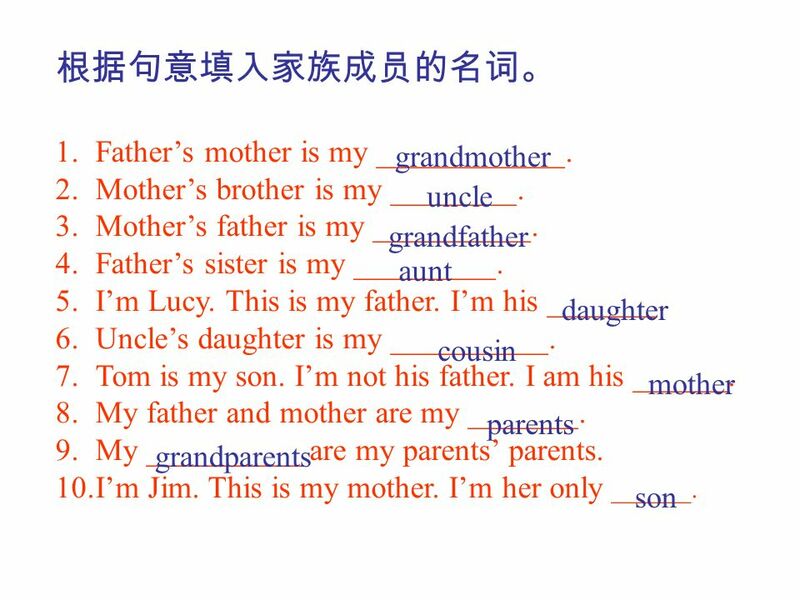 词汇 :father, mother, sister, brother, parents 等 句型 :This is / That is - - -/ These are - - -/ Those are Task for the first part : Introduce people. Hello ! I’m Xiaowanzi. 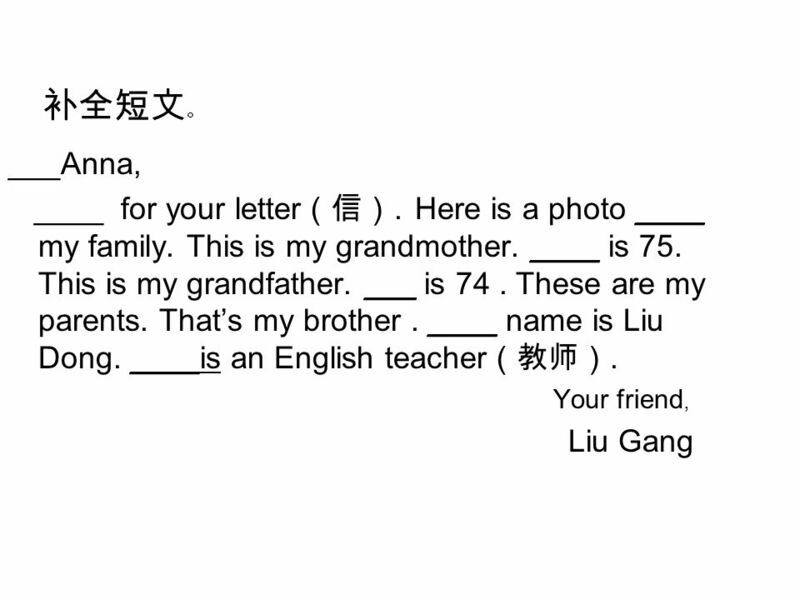 Can you introduce my family and my friends? Unit 3 This is Gina ----I love my family. This is Emma’s father. Love in your eyes Sitting silent by my side Going on Holding hand Walking through the nights * Hold me up Hold me tight Lift me up to touch the sky Teaching.